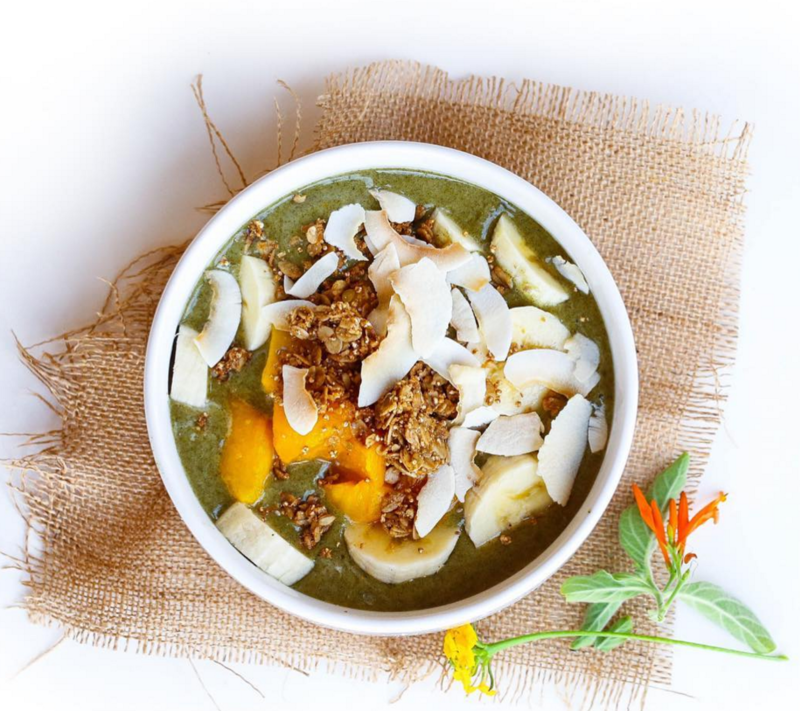 Foodie Hannah made this Moringa Green Smoothie Bowl for breakfast as he absolutely loves green smoothies. She has this before her yoga classes, as it keeps her energized during her intensive workout. Happy Wednesday! We start off with the dough. Use 1 egg, separated. Mix the yolk with the stevia, cinnamon, olive oil, shredded coconut and the Pure Moringa Powder. At at the end the egg white to it and beat it into snow. Bake these mini cakes in muffin cups at 356 degrees Fahrenheit for 15 minutes. Prepare the filling now. Mix the quark, stevia and raspberries in a bowl. Grab the mini cakes and use the fillings to make the muffins. Sprinkle them with hemp seeds.